​"he speaks to shift perspectives"
Sought after TEDx and Keynote Speaker, Best-Selling Author, Diversity Consultant and Trans 101 Expert Seth Rainess is on a mission to alleviate transgender fear and misconception around the world. His storytelling from his own experience transitioning from woman to man models strength, resilience and courage and inspires compassion and understanding. With greater empathy and understanding in the workplace, team members find themselves being more open to a diversity of ideas and possibilities. Audience members are mesmerized by his riveting message and powerful truth-telling. 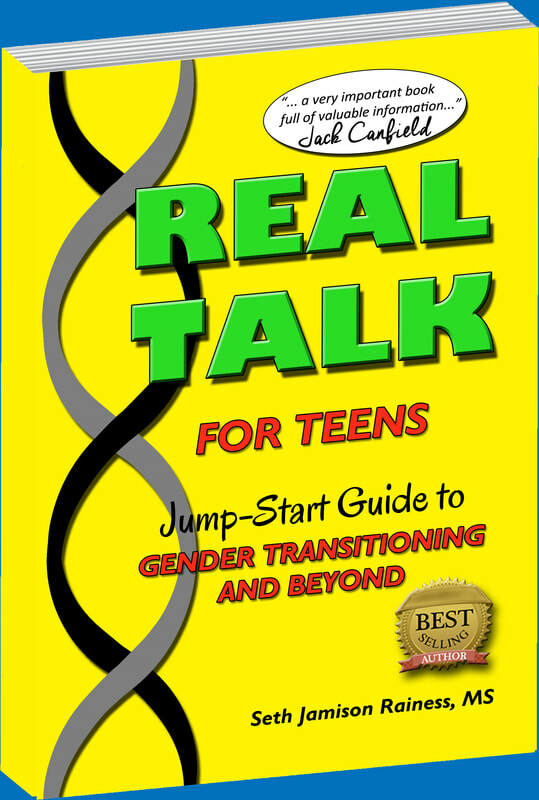 With self-deprecating humor and passion infused in every charismatic presentation given from the live or virtual stage, Seth delivers a straightforward approach setting a tone that defies embarrassment, leading to greater insight and understanding of the transgender mind. ​crucial read for parents, counselors and community leaders..."
​and trust in the family..."
but giving positive annotations on how to face them in the best manner..."